Select the cable end you'd like for your cordwinder. 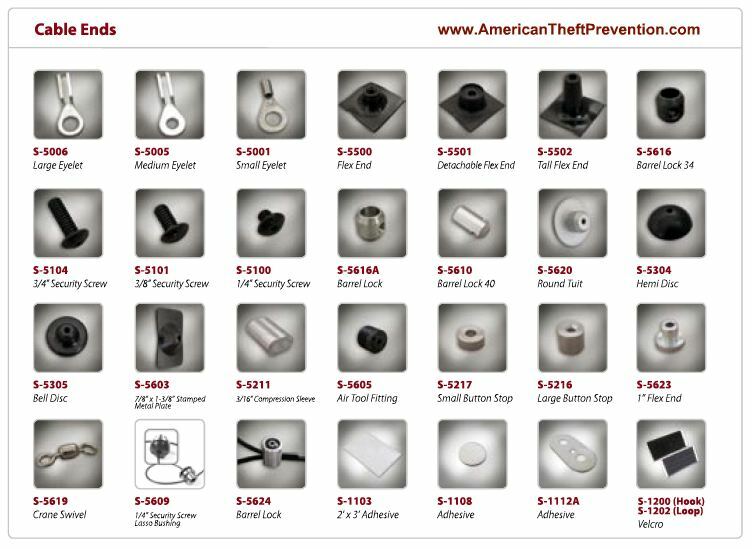 Contact American Theft Prevention if you don't see the style you need. With an extensive selection of cable ends, you can secure a wide range of items such as cell phones, cameras, camcorders, remote controls, mp3 players, PDA's and more. Manufactured in the USA, the Cordwinder 1 offers high strength aircraft cable.